Old time party time. Forged by many joyful late-night sessions, The Firecrackers play party tunes and songs taking inspiration from the high energy music of their fiddle heroes from the 1800’s to the present day. Songs and tunes from the Camp Creek Boys, Skillet lickers, Earl Collins, The Foghorn String Band and The Wandering Ramblers all feature in their lively set. 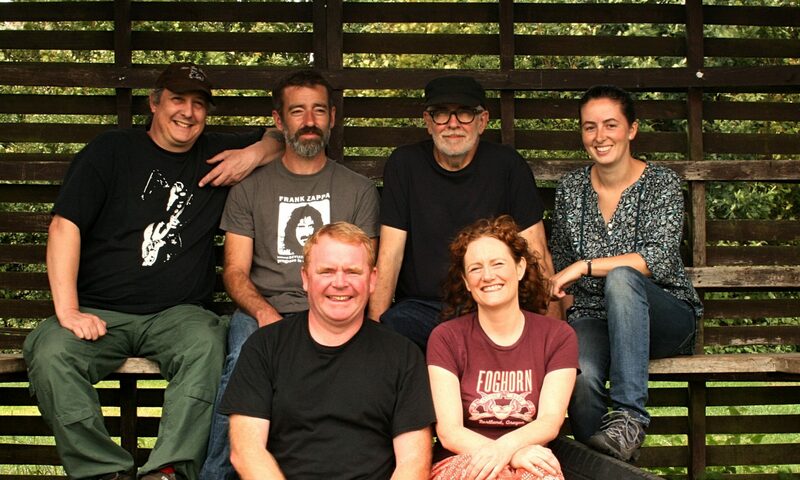 The Firecrackers are Paul Wood, Dave Proctor on fiddle / mandolin / vocals Emily Smith on fiddle /vocals, Carly Green on banjo / feet, Andy Quelch on guitar / vocals and Graeme Parry on bass. Their combined credits include The Midnight Specials, The Brickyard Rounders, A&E Oldtime String Band, Ragged Out String Band), and their name is inspired by their red-headed fiddlers!